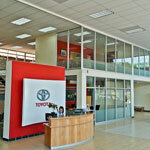 Trophy Toyota is committed to giving you excellent service. We will go the extra mile for you. 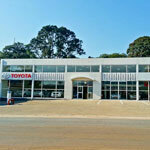 We are an authorized Toyota & Automark Dealership. When purchasing a vehicle, the dealership you use is just as important as the car you choose. At Trophy Toyota, we make the process hassle free and will help you though all the stages of buying a new Toyota, and assist you with quality approved used vehicles. Our workshop is also well known for its quality workmanship and excellent service. 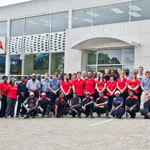 Our Parts & Spares department can help you with all the Toyota Genuine accessories you may need! We can assist you with Finance and Insurance through many of the major finance and insurance houses.